Tim Mayer of Heddle Media gives the opening keynote to a full house of search marketers at SearchFest 2015. At the end of every February, hundreds digital marketers from around the United States and the world converge on Portland for SearchFest. This one-day-a-year search marketing extravaganza put on by the good folks at SEMpdx is always jampacked with presentations given by a collection of the digital marketing industry’s brightest minds. 2015 marked my fourth consecutive year attending the conference. With my esteemed colleague and fellow Search Engine Marketer, Chris Miller in tow, we set out to pin down this year’s overarching themes and bring you the top takeaways, tips and tools. But first let’s look back at the predominant themes that emerged from the last four SearchFests. 2012: #RCS. Wil Reynolds at SEER spanked us all for treating SEO like a beaver-pelt top hat full of ‘tricks and spam’…and not the stuff that cartoon rabbits and Hawaiians like to eat, but the stuff that Google likes to spit out. 2014: Content (Freakin’) Marketing, people!!! We did all that other hard #RCS stuff, now we have to be writers too?! And what we write has to be worth reading?! Worth sharing?! Sweet mercy. There has to be another way to make customers. 2015: Non-Technical SEO is like a clown passed out on our lawn that we occasionally poke with a stick to see if it’ll move. Organic keywords are already dead in the minds of some. Even PPC keywords are slowly being disappeared like Marty in Back to the Future. Of course, SEO isn’t really dead, nor was Krusty, but the point being this year was that we’re all just marketers now. …but the ones who do the work too. As Mr. Reynolds put it so eloquently back in 2012, we do the Real Company S***. So, let’s come back to 2015. We’re still taking our lumps and learning our lessons – putting it all together – in an industry that changes quicker than my 6-year old’s self-imposed dietary restrictions. This is what motivated the Digital Marketing Team at Edge to sit down and identify the broader themes rather than highlight the get-rich-quick tips from this year’s conference, and really the state of search engine marketing as a whole. After all, what makes us rich today can often just be a hole in our pocket tomorrow. As we swam through our pages of notes looking for possible themes for this year’s SearchFest, the one that kept rising to the surface was digital marketers as translators. We translate data into compelling stories. We comb, we scrape, we sift and we sort data to make things easier and to craft solutions for our clients. In his opening keynote, Tim Mayer said that marketers need to go beyond relevance and use data to promote resonance within their content marketing strategies. If relevance is how we target and match our messaging to find new customers then resonance is how we get our customers to stick around. Another way of looking at this is from a PPC perspective. Relevance attracts Clickers, while resonance builds a base around Converters, and, as Mayer puts it, “Clickers are not your converters in many cases.” So if your strategy focuses on optimizing for Clickers then you’re headed in the wrong direction. Use what you know about your audience to anticipate their needs and serve them content that eases their pain points. The shift towards people-based marketing is liberating to those search marketers who for years mistakenly thought their client was a cold, mother-in-law of an algorithm that either gives them a SERP thumbs up or a SERP thumbs down. In the past we measured devices as if they were people. Nowadays and going forward we are seeing more solutions to track people (individuals) as they move across devices. This simultaneously creepy and heartwarming development is freeing us digital marketers so that we know longer have to write “SEO Content” that was more machine code than interpersonal communication. We could always craft content that resonated on a personal level, but we had no mandate to do so. Now we are being told (and in some cases reprimanded) by the search engines that this is what we should do. More and more brands will be able to deliver that individualized content to members of their audience. In a beautiful sort of ironic twist it will likely be through machines and automation that we can achieve and deliver this personalized, human touch within our content marketing. Imitation is the sincerest form flattery, but don’t flatter your competitors by copying their marketing and digital strategies. Your impersonations aren’t terribly great and you’re kind of embarrassing yourself out there. Even when copying a successful marketing strategy, there is no guarantee that what once worked will work again. Successful marketing is strongly driven by its uniqueness, as soon as that’s gone, it loses its power quickly. You need to trust your own strengths and focus on what makes your business desirable over your competitors. What your business offers is unique and that needs to show through in your marketing. Showcasing your unique strengths and offerings will lead to creating unique marketing and digital strategies. “I have a hunch” doesn’t really cut it these days. When you have an idea for something new, you need to test these ideas before committing 100%. With the myriad of ways to test your ideas in the digital spectrum there is no excuse for not making a reasonable effort to test your marketing hypotheses. Don’t be afraid of coming to a conclusion that your new idea will be unsuccessful. It is not a bad thing for a test to show that an idea wouldn’t work. It is much worse to go all in on a new idea that turns out to be unsuccessful knowing you could have saved yourself the trouble by just spending a little time and money in testing. Remember that perfect is a progress-killing myth. In its place we should foster cultures that are not afraid to experiment in order to get to what’s better. Test those big ideas and let the data decide the path forward. Encourage your team to think big, support them and make them feel comfortable to take risks. Frances Donegan-Ryan and Anna Hughes from Bing Ads and Microsoft explain why phone calls might just be the highest quality leads out there. Larry Kim from Wordstream went as far as to say that in the future mobile optimization will look more like how well you set up and train your call center staff. Mobile search is expected to surpass desktop by 2016, if not sooner. There are more smartphone owners on the planet than there are folks who own toothbrushes. The very catchy and minutely terrifying ‘Mobilegeddon’. You’ve heard all the mobile superlatives. 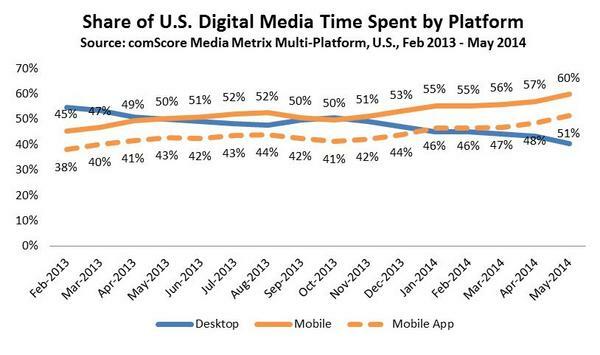 Across all verticals the mobile averages 30% of total organic traffic and is rising steadily as desktop trails off. Yet, more than losing traction in the mobile SERPs, businesses that continue to persist with a desktop-only web presence may find their diminishing relevance to their audience a tougher pill to get down. Effective Mobile and Local SEO strategies mean existing where and when your customers are. Check your analytics. How much of your organic traffic originates from mobile devices? How many goals does that segment convert each month? What would it mean to your business if you lost just 3%, 5%, 10% of your mobile traffic? As we reflected on all the information that stood out the most to us this year, we saw that while our titles may change so fast that we can’t always agree on what to call ourselves, the essence of what the best of us do doesn’t. We help your customers find you on the web (relevance). We help you keep the customers you have (resonance). And we help to make sure your websites and strategies don’t run afoul of search authorities (best practices). We use what we know and what can be measured (data) to help your business be compelling (content). In a candy-coated nutshell, we are the creators, caretakers and advocates for your digital strategy. Want to stay relevant in the rapidly changing digital landscape? Get in contact with us and talk with our experts about how we can develop a winning digital strategy for your business. This article was written with significant contributions from fellow Edger, Chris Miller.